The recent deaths of two teenagers best communicate the situation in Egypt today. Gaber Saleh, a 16-year-old revolutionary activist, was killed in confrontations with police in Tahrir Square last Sunday. That same day, Islam Massoud, a 15-year-old Muslim Brotherhood member, was killed in clashes between supporters and opponents of President Mohamed Morsi in Damanhour, a city in the Nile Delta. The deaths reveal a nation deeply divided by the decision of Morsi last week to appropriate all governing authority until a new Egyptian constitution is completed and a new parliament elected. Protests have broken out throughout the nation; Tahrir Square has once again filled to capacity. Many of Egypt’s judges have decried the attack on their independence, with the two highest appellate courts joining others in a nationwide strike. The nation’s Christians are firmly in the opposition camp. 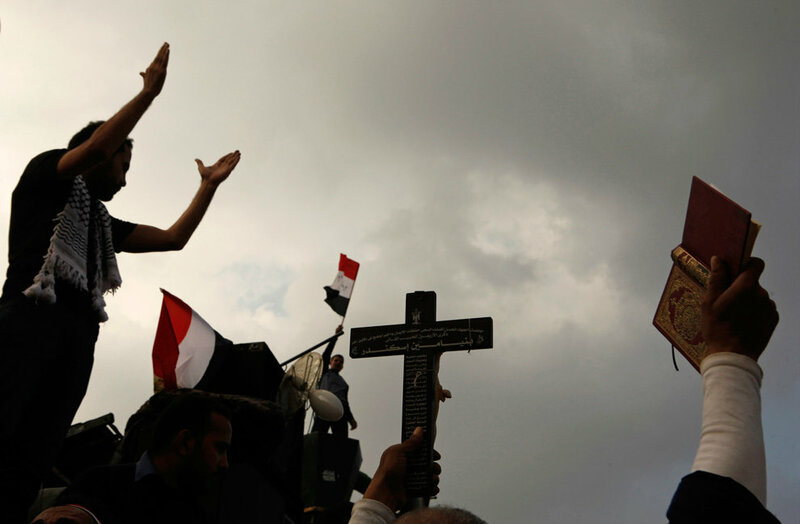 “This is a national issue, not a Christian one,” says Safwat el-Baiady, president of the Protestant Churches of Egypt and a former member of the constitutional assembly. “As Christians, we are not calling for the downfall of the president. And we do not fight against the authorities. As a church, we ask only for a suitable constitution for Christians and Muslims. Morsi’s opposition is not just in the street. Samir Marcos, Morsi’s vice president for democratic transition and the most prominent Coptic member of his administration, has resigned. This might also create a scenario where a weary public votes “Yes” in the constitutional referendum to follow, simply to end the deadlock and restore stability. In the process, liberals and Christians fear, the public would accept a flawed and religiously tinted constitution. Please click here to read the whole article at Christianity Today.